Use the following procedure as a guide for computer problems. NOTE: The diagnostic tests are intended to test this model. Non-Acer products, prototype cards, or modified options can give false errors and invalid system responses. Duplicate symptom and obtain the failing symptoms in as much detail as possible. Distinguish symptom. Verify the symptoms by attempting to re-create the failure by running the diagnostic test or by repeating the same operation. 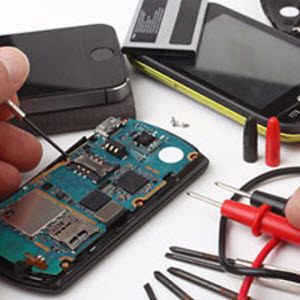 Disassemble and assemble the unit without any power sources. 5. Use the following table with the verified symptom to determine which page to go to. "Power System Check" on page 65. POST does not complete. No beep or error codes are indicated. POST detects an error and displayed messages on screen. Other symptoms (i.e. LCD display problems or others). Symptoms cannot be re-created (intermittent problems). Do the following to isolate the problem to a controller, driver, or diskette. A write-enabled, diagnostic diskette is required. NOTE: Make sure that the diskette does not have more than one label attached to it. Multiple labels can cause damage to the drive or cause the drive to fail. Do the following to select the test device. Boot from the diagnostics diskette and start the diagnostics program. See if FDD Test is passed as the program runs to FDD Test. Follow the instructions in the message window. Reconnect the external diskette drive/DVD-ROM module. Replace the external diskette drive/CD-ROM module. Do the following to isolate the problem to a controller, drive, or CD-ROM. Make sure that the CD-ROM does not have any label attached to it. The label can cause damage to the drive or can cause the drive to fail. See if CD-ROM Test is passed when the program runs to CD-ROM Test. Reconnect the external diskette drive/CD-ROM module. Remove the external keyboard if the internal keyboard is to be tested. If the internal keyboard does not work or an unexpected character appears, make sure that the flexible cable extending from the keyboard is correctly seated in the connector on the system board. If the keyboard cable connection is correct, run the Keyboard Test. If any of these devices do not work, reconnect the cable connector and repeat the failing operation. Memory errors might stop system operations, show error messages on the screen, or hang the system. Boot from the diagnostics diskette and start the doagmpstotics program (please refer to main board. Go to the diagnostic memory in the test items. Press F2 in the test items. NOTE: Make sure that the DIMM is fully installed into the connector. A loose connection can cause an error. Connect the power adapter and check that power is supplied. Disconnect the power adapter and install the charged battery pack; then check that power is supplied by the battery pack. In Power Meter, confirm that if the parameters shown in the screen for Current Power Source and Total Battery Power Remaining are correct. 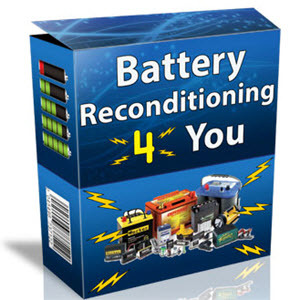 Repeat the steps 1 and 2, for both battery and adapter. 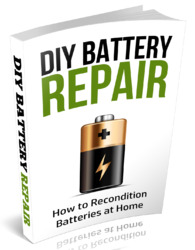 If the voltage is still less than 7.5 Vdc after recharging, replace the battery. To check the battery charge operation, use a discharged battery pack or a battery pack that has less than 50% of the total power remaining when installed in the computer. If the battery status indicator does not light up, remove the battery pack and let it return to room temperature. Re-install the battery pack. If the charge indicator still does not light up, replace the battery pack. If the charge indicator still does not light up, replace the DC/DC charger board. After rebooting, run Tracking Pad PS2 Mode Driver. For example, run Syn touch driver. Run utility with the PS/2 mouse function and check if the mouse is working. If the the PS/2 mouse does not work, then check if the main board to switch board FPC is connected O.K. If the main board to switch board FPC is connected well, then check if the FCC on touch pad PCB connects properly. If the FFC on touch pad PCB connects properly, then check if LS851 JP1 Pin6=5V are pulese. If yes, then replace switch board. If no, then go to next step. If the touch pad still does not work, then replace FPC on Track Pad PCB. After you use the touchpad, the pointer drifts on the screen for a short time. This self-acting pointer movement can occur when a slight, steady pressure is applied to the touchpad pointer. This symptom is not a hardware problem. No service actions are necessary if the pointer movement stops in a short period of time. The POST error message index lists the error message and their possible causes. The most likely cause is listed first. NOTE: Perform the FRU replacement or actions in the sequence shown in FRU/Action column, if the FRU replacement does not solve the problem, put the original part back in the computer. Do not replace a non-defective FRU. This index can also help you determine the next possible FRU to be replaced when servicing a computer. If the symptom is not listed, see "Undetermined Problems" on page 79. The following lists the error messages that the BIOS displays on the screen and the error symptoms classified by function. NOTE: Most of the error messages occur during POST. Some of them display information about a hardware device, e.g., the amount of memory installed. Others may indicate a problem with a device, such as the way it has been configured. NOTE: If the system fails after you make changes in the BIOS Setup Utility menus, reset the computer, enter Setup and install Setup defaults or correct the error. How do I replace keyboard on acer travelmate c300?